The University of Iowa is proud to welcome students from all over the world. Our International Ambassadors are students that are excited to make the college search process a little more personal to future Hawkeyes around the globe. Here, you’ll hear from International Ambassador Ala Mohamed, a first year student double majoring in Marketing and Chinese. 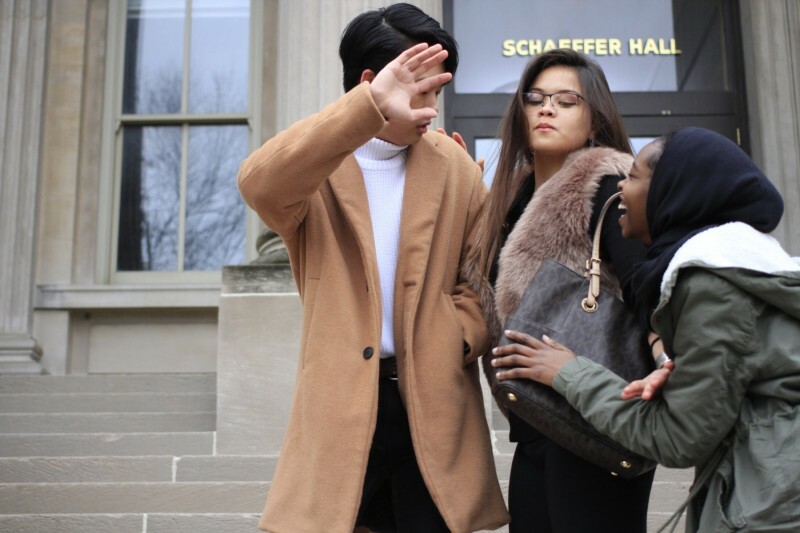 She shares her experience in getting involved on campus with Brand You, a fashion and marketing student organization. 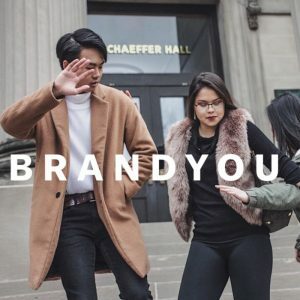 In Brand You, Ala is involved with styling and modeling for photo shoots, and promoting the organization to fellow students. One of the most exciting things about Iowa is the opportunity to join clubs and do things you enjoy. I am a big fan of fashion and graphic design, so I joined a club called Brand You and I’ve had the best experience so far. One project I really enjoyed was a paparazzi styled photoshoot, where models had to pretend to shy away from the camera as if they were some sort of celebrity. This project was inspired by Balenciaga’s latest Instagram posts which featured models also shying away from the paparazzi, but in Balenciaga’s latest winter collection. I really enjoyed this project because I was able to work with new people while doing something that I love.